Are you looking for a portable vaporizer with a long battery life and precision controls, capable of giving the same performance as a tabletop model? Look no further! The Mighty vaporizer from Storz & Bickel lives up to its name. The vapour cloud generated by this small yet powerful vaporizer rivals that of bigger (and more expensive) static plug-in ones. Firstly, the Mighty has an easy to read LED display screen recessed into the grips, which protect the screen from knocks and scrapes. Together with the plus and minus keys, this makes controlling the Mighty simple and intuitive. Set the temperature (which can be viewed in Fahrenheit or centigrade) and watch as the actual (rising) temperature is displayed above the set temperature. Once the requested temperature is reached, the Mighty will give two short vibrations to let you know it is ready for use. The heat will self-adjust during use to maintain a consistent temperature, but can also be manually adjusted throughout vaporization for the perfect user experience. Enjoy a full hour and a half of continuous use from a single two-hour charge, thanks to the Mighty’s twin lithium ion batteries. This is twice as long as the Crafty, and should enable the vaporization of about ten full chambers before a recharge is needed. However, thanks to the dual heating system (see below) the Mighty works just as well with a partially packed filling chamber (unlike solely convection heated vaporizers). You can adjust the amount you wish to vaporize without affecting its performance. The LED screen mentioned above also displays remaining battery power, so you will never be caught by surprise by an empty battery. As an extra bonus, if the batteries are fully discharged, the Mighty converts into a mini tabletop vaporizer and you can continue using it by plugging in the power adaptor. There is an automatic switch off if the Mighty is left unused for over a minute. The Mighty, like little sister the Crafty and plug-in model the Plenty, runs on a combination of convection and conduction heating. The full hot air convection heating ensures that vaporization begins immediately and is smooth and continuous, and the conduction heating delivers the vapour at full strength from the first intake of breath. Not only is this very satisfying, it is also very efficient. However, there is another, equally crucial element to the heating cycle, which is the cooling. Vapour that is too hot when it reaches your mouth is less pleasantly flavoured and can irritate the mouth and throat. The Mighty vaporizer incorporates a cooling system above the filling chamber which ensures the vapour reaches your mouth at an optimum temperature for enjoyment of flavours and aromas. The Mighty comes with various accessories (see list below), the most innovative of which is the Filling Tool. Similar in appearance to a grinder, this handy device twists open to become a tamper for gently pressing down plant matter in the filling chamber, and a wide funnel which fits onto the chamber. Simply add your chosen vaporizing material to the funnel and it slips easily into the chamber. Remove the funnel and use the tamper to gently pack the plant matter. Anyone suffering from pain, cramps, arthritis etc in their hands will find this tool makes a real difference to the ease of filling a vaporizer. Looking for a vaporizer specifically for liquids and concentrates? The Mighty can meet your needs there too. Every Mighty vaporizer comes with a metal mesh pad which slots into the filling chamber. Simply add your liquid of choice, and use as normal. Both the Mighty and the Plenty are Sensi Seeds staff favourites, and you can be sure we have rigorously tested them. 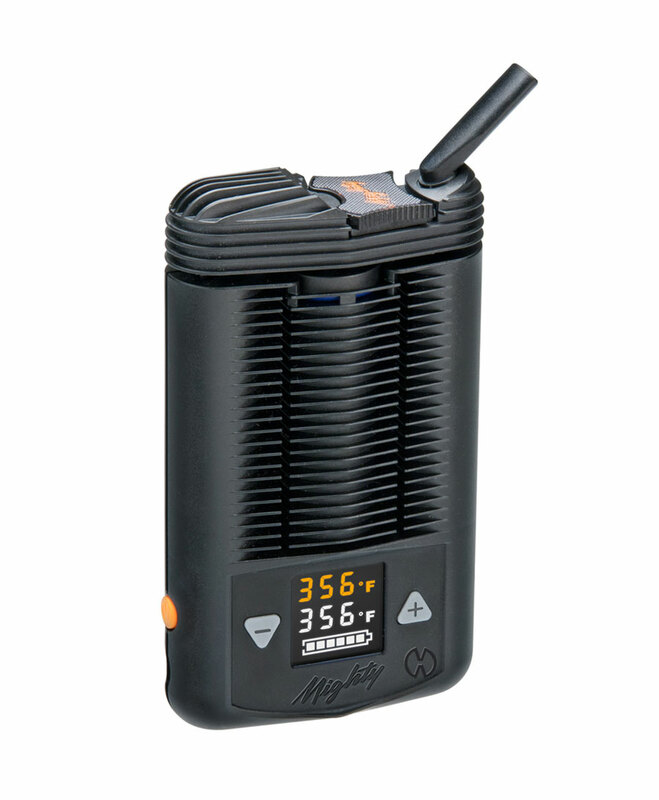 Described by one member of staff as “Like having a Volcano Digital in your pocket!”, the Mighty is a vaporizer that will more than repay your investment in terms of usability, efficiency and durability. Why wait any longer to own this beautiful piece of engineering? Mighty Vaporizer is added to your shoppingcart! Mighty Vaporizer is added to your wishlist!